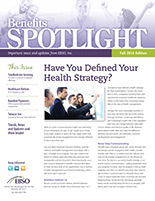 Welcome to 'Benefits SPOTLIGHT' - a quarterly newsletter from EBSO. 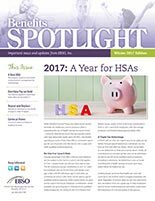 Each issue contains timely updates on self-funded health benefits, health care reform, cost management, wellness topics and much more. Find Trends, Q&A and more! 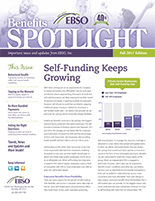 Download EBSO's Fall 2017 Benefits SPOTLIGHT. Find Trends, Q&A and more! 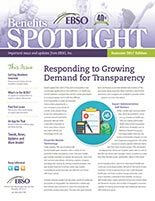 Download EBSO's Summer 2017 Benefits SPOTLIGHT. Find Trends, Q&A and more! Download EBSO's Winter 2017 Benefits SPOTLIGHT. Find Trends, Q&A and more! 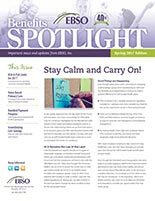 Download EBSO's Fall 2016 Benefits SPOTLIGHT.